Gloria Hunniford visits the Isle of Wight to meet keen traveller Sandy Plowright, who hopes a lifetime of collecting can help fund a trip to the Antarctic. Browse content similar to Plowright. Check below for episodes and series from the same categories and more! Hello! 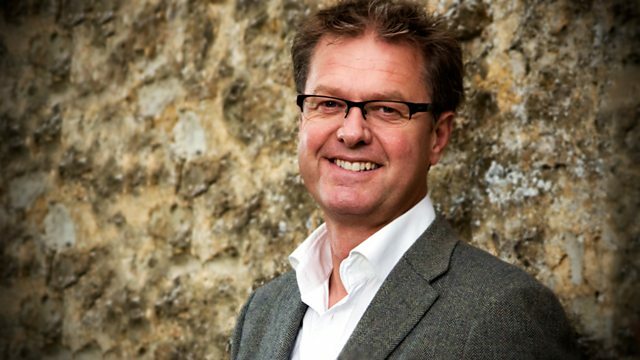 Welcome to the programme that searches your home for antiques and collectibles. We take them to auction, sell them and hopefully make good money. and hopefully raise a lot of cash in the attic. we're spoiled for choice in a house full of beautiful antiques. in a bathroom, if you were into that sort of thing. John takes a shine to some miniature Army vehicles. Look at the condition! It doesn't look like it's ever been played with. And there's reason to celebrate come auction day. -It is a good chunk, yeah. But will we still be all smiles at the end of the day? Find out when the final hammer falls. to make a bit more space. for a fabulous, adventurous holiday. on the north of the island with her second husband, Ant. including 24-year-old Elly, who's on hand to help today. he's going to have his work cut out. Hey, I hear the rustling of paper! How are you? Sandy, good to see you. -Elly, of course, how are you? -and you need a bit of help, don't you? Where did you get all this stuff from? It's inherited from friends and family. the kids have left home and left their stuff here. -As you can see, we're absolutely overcrowded. -Basically you've got everybody's stuff. Everybody's stuff is still here, yes, indeed. I'd like to raise about £700 towards the trip that I'm planning. I know it's an adventurous holiday, but how adventurous? Very adventurous. I want to go to the Antarctic. and I've been to the North Cape, so now I want to go to the south. -Elly, do you get to go on this holiday? I get to go home and look after the dog. all the rummaging, and you don't get the holiday. Yeah, but she deserves a treat at the end. That's a very nice thing for a daughter to say. -So, will we go and find John? is converted from two old coastal cottages. It's like a warren full of fascinating objects. to that magnificent vase on the mantelpiece. -John, meet your hostess today. Sandy and her daughter, Elly. I've got some interesting items. We've got three vases. -If I can hand that one to you, please, Elly. If you hold that one, Sandy. We can chat about them. They're all Doulton, they're Royal Doulton. -They date from the 20th century. particularly the green. Isn't that a gorgeous green? Fantastic, nice olive green, very typical of the Edwardian period. but the decoration tells me it's early 20th century. of the 1920s with these little lovebirds here. And the one Elly's holding? -Again, that dates from the same period as this so we're looking at 1902 to 1920.
so I'd put them all together. Estimate-wise, they'd comfortably get away at between £200 and £300. Well, you can't rest on your laurels yet. We have a lot more rummaging to do. I'd break them. They are lovely. So we'll go and hunt some more. 'What an amazing start to our rummage here on the Isle of Wight. 'all costume jewellery, but lovely, nevertheless. 'and dates back to the 1930s. -What have you found there? lots of bunnies or Bunnykins, this one in particular. What's the story, where's it all come from? when there was various children's christenings. "Great, a little collection of Bunnykins pottery,"
Windsor, but it started with Doulton, that was the original Bunnykins. both had these as items as children. Mr and Mrs Bunnykins on a raft there. This is the only piece and sadly it's got a bit of a chip in it. I still think they could make a lot at auction. -I suggest an estimate of about £30 to £50. another respectable addition to the Antarctic travel fund. had been kept behind a radiator. a very well-known racing car illustrator. John thinks that this pair of signed prints could fetch £30 to £40. The dog, by the way, not included. Oh, what have you got there, Elly? That looks like something I would have had as a small boy. These are certainly very interesting. You can see this is a gun battery. although, back in the 1930s, they would have been very popular. These were originally made to fire something. which I wouldn't advocate doing today. It certainly wouldn't pass health and safety, that's for sure. What else have we got? We've got the gun. This looks like a fantastic military vehicle. Let's have a quick look in the box. Look at that, it's fantastic. It doesn't look like it's ever been played with. You often see toys turning up at auction with paintwork touched up. These do look in great condition. -There's your transporter for moving the heavy equipment around. What have we got here? We've got another name here. This is Britain's. So we've got six of them. We've got three Britains and three Astras. They're absolutely superb. What you have thought something like these were worth? -I really don't know at all. easily make £200 to £300 for these six here? Yes, I would never have thought that. -who've never grown up, isn't it? But will the big boys be out in force come auction day? At £190, the invisible man. You just keep saying, "Yes." 230? You'll just have to keep watching. he pulls out two canvas posters. John values them at £30 to £40. that's made a good few journeys itself. Look what I've found. What do you think about this? Now that looks interesting. What is it and where did it come from? and I bought it at a model exhibition in Brighton. -Where did the interest in railways start? As you've said, it's on here, the London-Brighton South Coast Railway. The carriage blind circa 1900. So this is a blind from a carriage. of that period and what a wonderful monogram there on the blind. We can see exactly where it came from. Not only is it interesting railwayana but you could actually use this. if you were into that sort of thing. certainly things like the signage that adorn various stations. the old locomotives, some of which can make thousands of pounds. an estimate of £40 to £60 is tempting enough to get the bidders going. Where it will stop, I don't know. We've got ourselves an excellent lot. What else have you got in there? Sandy uncovers a very attractive clock that dates from the 1930s. and I would like it because it only has to be wound up once a year. John is confident that it will raise £60 to £80 at auction. 'Elly's found 25 silver ingots from the Queen's Jubilee. and also I see you've been to Egypt, so when was that? and stayed in his fabulous hotel just next to the Pyramids. I actually went into a pyramid. Just the experience of a lifetime, absolutely. that's exotic, something that's very different for your holiday? and I like to be moving about on holidays. I don't just go to relax, I suppose. Most of our holidays are adventure holidays. What's the big major appeal about going to Antarctica? and follow in his footsteps if possible, see what he saw. -My husband doesn't want to go. -So who are you going to take? Number one son wants to go, Andy wants to go, so it will be he and I. -So poor Elly doesn't get to go after all. -She looks after the dog. -She drew the short straw. Let's find her, she's been very good at unearthing some stuff. and values them at £200-£300. and I find a really unusual torch. famous manufacturers of diving equipment. but John thinks it could fetch £50-70 at auction. So you've settled on the settle, have you, John? Well, I'm hoping so, but I'm just about to ask a few questions about it, about its age. If you look at the piece, it looks quite old, doesn't it? -Well, that's because it's been made of reclaimed parts. they suggest to me 19th century. They've got a very smooth finish. I think they've been machine-finished. -It is oak, it's an oak settle. Why did they call it a settle? Because I think you settled down on them. -That would be my guess. they can move freely in that groove. possibly from a church, in the 19th century and re-used. They were recycling back then, I'm glad to say. but first of all I want to know what you think you might get for this piece at auction. I'm going to suggest 200-300 as an estimate. What do you think of that, Sandy? -That's good, that's absolutely good. -You're not disappointed in that? I've added in this price. You wanted to have £700 for this exotic holiday to the Antarctica. That's going to buy you a bit extra to go on your trip, isn't it? It will, it will. Crikey! and what an amazing rummage we've had here on the Isle of Wight. will raise upwards of their £200 estimate. Then, of course, the Astra and Britain military toys. we should be able to smash their £200 estimate. I don't think I've ever witnessed a torch being sold at auction before. her daughter Elly at their home here on the Isle of Wight. to Island Auctions here on the island. can go on a wonderful trip to the Antarctic. when her items go under the hammer. once a month, and today there's something like 700 lots on offer. And I have to say, I'm really excited about today's auction. Our mother and daughter have already found one of their items on show. -Sandy and Elly, how nice to see you again. I have to say that I did not put you down as a railway enthusiast. You've kept it in very good nick. Well, it's been hidden in a cupboard for many years. -So it's time to go, really. So if you want to make lots of money for that trip to the Antarctic with your son, we better get to work. All right, we'll go this way to our little position. With the auctioneers in position on the podium, we get ready for our first lot of the day. that includes a rather collectible example by Royal Doulton. Who'll start me? £40 and away? £28 on commission I'm bid, 28, 30 anywhere? At 38, straight ahead of me at 38, 40 anywhere? 40, 42? At £40, in the window at 40, then, have you all finished? At £40, then, I sell in the window at 40. 'I couldn't have put it better myself, Sandy. 'and we have our first contribution towards our Antarctic expedition. 'promotional posters for an Edinburgh shoe company. Nice lot, someone start me at £40 and away. £35 I'm bid on commission, 35. 36, 38? 38, 40, 42? 42, 44? 44, 46, 48, 50? At 55 below me, then, 60, 5, 70? Well, somebody must know about them! At 110 below me, then. Have you all finished? At 110, then, I sell at 110. 'with £150 in the pot after just two items. 'I'm hoping our luck continues with the railway carriage blind. 30 I'm bid, 30, 5, 40. At 45, away from me at 45, then, a bit of history at 45. Have you all finished at £45? -Now, what did you pay for it? 19 quid she paid for that, so that a good result, isn't it? At £38 on my left, have you all finished at 38, then? I sell, then, at £38. 'They sell just £2 shy of their top estimate. 'but I'll be interested to see how accurate he is with our next lot. but I know nothing about torches, so what's the news? of diving equipment, and they are known the world over. There are collectors that will pay thousands of pounds for the right Siebe Gorman helmet. These torches are slightly later, but they are wonderful things. so I think £50-70 is relatively cheap. 85, 90? At 85, away from me at 85. 90 in the room? 90, 95, 100? -It's just... It's on the phone! In the room at 130. 140 anywhere? £130 on my right. 130. There it goes at 130. Elly, you're astounded, just like your mum. What do you think? Incredible. I'll never look at a torch in the same light again. It just goes to show you never know what might happen at auction. when the 1930s clock goes under the hammer. Have you all finished at 75 then? 'towards our £700 target. Great going so far. 'so do check details with your auction house before you go. of jewellery on you today. How have you amassed all this over the years? What do you make of this, John? We've put it in as one lot, as there's a real demand for good pieces of costume jewellery. -What have you put it on for? At £100. Down below me at 100. Have you all finished at £110, then? I sell then on my left at 110. 130. 140. It's a good lot. 140. Yes! Now, that's a result. Again we sell just short of the top estimate. selling for just under John's £200 valuation. Let's hope the bidders have money left for our next item. It's that fabulous collection of model army vehicles. in the superb condition that they are if I'd had them. We've got six of them in the lot, and we're looking for £200-£300. £100, I'm bid. 110 anywhere? Keep in sync down there, will you? He says keep in sync! 200. At £190, the invisible man. 200. 220. You just keep saying yes! 230. 240, I'd love you to bits. 250. At 250, you must come more often. At 250. Are we all finished at £250, then? I sell then at 250. -Well, I hope he enjoys them. I'm stunned. I think you're in a permanent state of being stunned today, aren't you? as they sell smack in the middle of John's estimate. and the collection of commemorative silver ingots fly out of the sale room as well. Beating John's top estimate by £10. Next up is Sandy's much-loved oak settle. We're keeping everything crossed that it make £200-£300. 200, I'm bid on commission. 220. 230. 240. 250. 260. At 320, on my left at 320. On my left at 320 and it goes at £320. -You felt good about that, didn't you? I'm so delighted for Sandy that the settle sold for such a great price. in the form of five gold rings. Shall I sing it for you? How will these rings do, John? and hopefully we'll get somewhere within our estimate. £150, I'm bid to start. 160. 220 below me, at 220. 230 anywhere? £220 then, on my right at 220. I sell then at 220. Actually, £20 over estimate, and smiles all round. Who can blame them after the day we've had? But just how much have we raised? Because it seems like the cash has just kept rolling in. Now here's the point. You wanted £700, didn't you? Well, you got your £700. which means that you have £1,708. Sandy has decided to get a taste for her upcoming adventure. where they have a breeding programme for penguins. The sort we might see down at the Antarctic. So has the trip put Sandy in the holiday mood? I'm really excited now. It's lovely. I'm just so excited how friendly the penguins were here even though they're still supposedly wild. I recommend anybody to come here because it's a wonderful place to be.